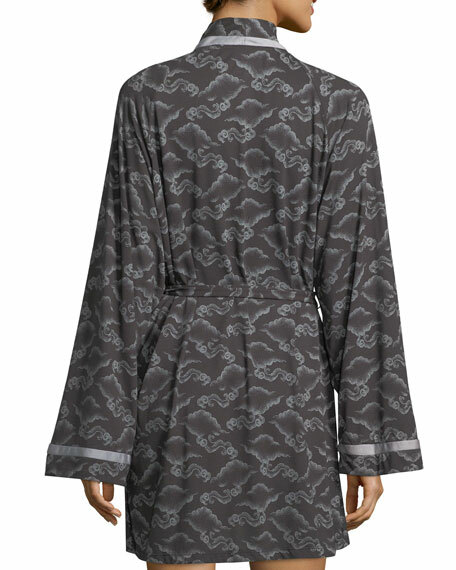 Cosabella "Bella" short robe in cloud-print. 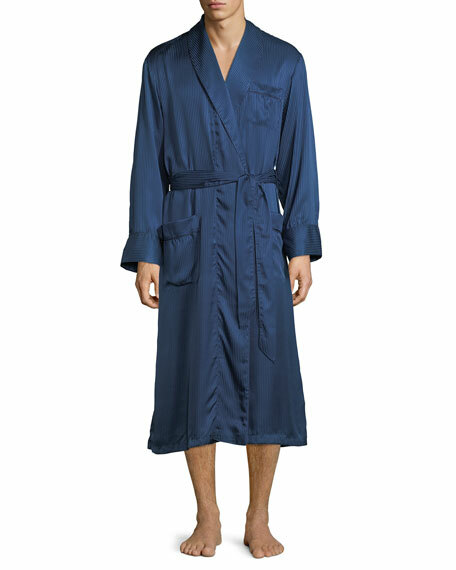 For in-store inquiries, use sku #2410610. 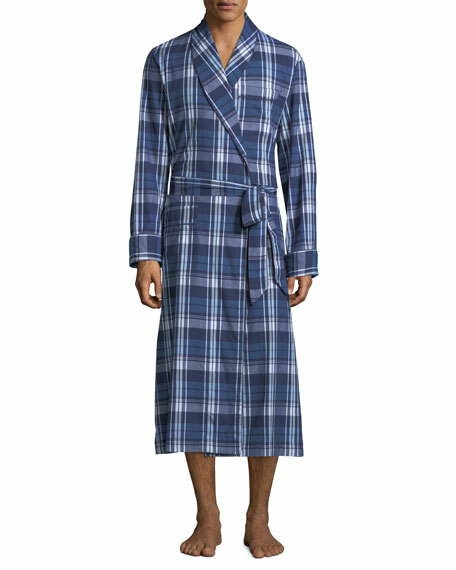 Derek Rose "Ranga" plaid cotton robe. Full length: approx. 52.5"L from shoulder. Fully piped, classic shawl collar design. Breast pocket and two side pockets. Packaging: 15.35" x 9.84" x 2". Cotton. Made in Czech Republic. 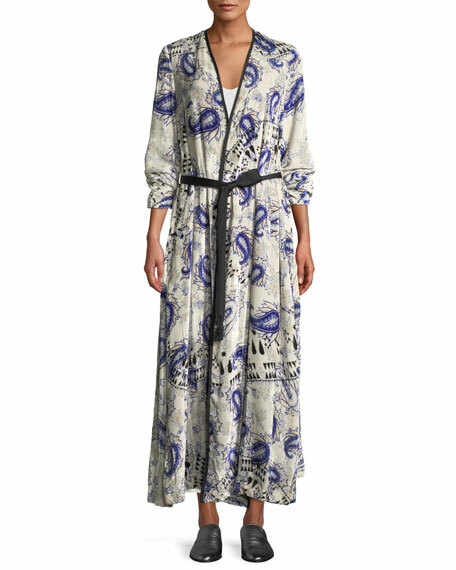 Forte Forte velvet duster in Afrika-print. Open front; contrast self-tie belt. Long sleeves. Loose fit. Maxi length. Viscose/silk. Acetate/viscose lining. Made in Italy.